Last minute hike changes or cancellations will be posted on our Facebook page and/or our Yahoo group page. Just click on the Facebook or yahoo icon below to reach those pages. the opportunity to contribute to the preservation and extension of hiking lands and viewsheds in our region. Non-members are cordially invited to join us on two hikes before making a decision to become a member (but we request you contact the hike leader beforehand). New hikers, whether members or not, are strongly encouraged to select hikes appropriate to their capabilities. 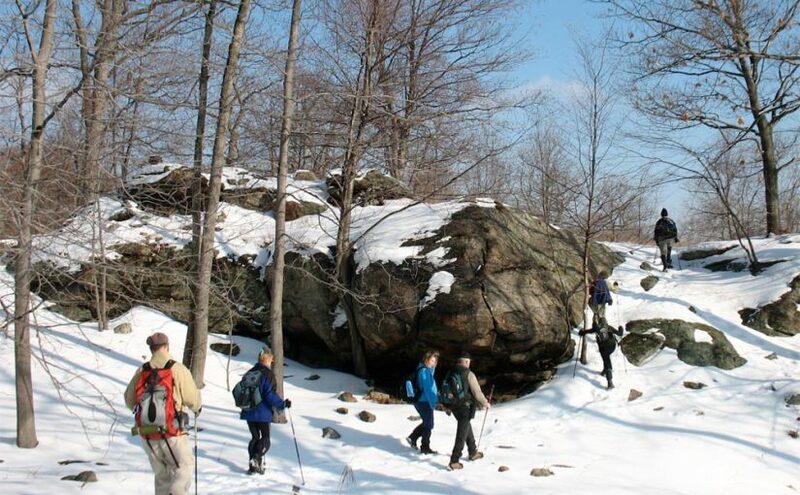 North Jersey Ramapo Chapter hikes are rated for Pace (A, B or C)-Mileage (number)-Terrain (A,B or C), with C designating easier hikes and A more challenging ones. We recommend that new hikers should first try a C or short B hike before undertaking a more difficult one; otherwise, you may not fully enjoy the hiking experience. If you have any doubts, please contact the hike leader in advance.